Scientists from the Center for Nano Energy Materials (CNEM) of Northwestern Polytechnical University in China said they have successfully applied graphene‐enhanced nano-materials to protect ancient wall paintings. The team used a compound of calcium hydroxide and graphene quantum dots in a water solution and applied the material in ancient wall paintings in three tombs of the Tang Dynasty (618-907). "Research shows that the new material is small (an average of 80 nanometers per particle), uniform in size, and very sticky, thus making it good at reinforcing the wall paintings," Wei Bingqing, a CNEM dean, stated. 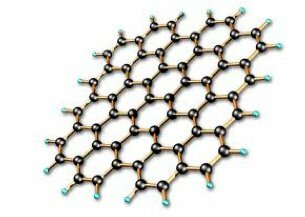 NIST physicists have spatially and magnetically confined electrons within graphene atoms into cake-like nanostructures, proving theoretical speculations, and promising applications for quantum computing. It was said that the experiment “confirms how electrons interact in a tightly confined space according to long-untested rules of quantum mechanics. The findings could also have practical applications in quantum computing". Scientists have to confine quantum dots in space to work with them, but the NIST researchers thought of applying a magnetic field to see how electrons orbiting quantum dots would behave. Using a scanning tunneling microscope, the team found that electrons packed together more and arranged themselves into concentric rings that alternate between conducting and insulating energy levels, shaped like a tiered cake. 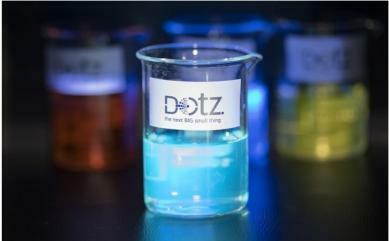 Dotz Nano recently reported a successful industrial production pilot to mark special packages with its advanced marker named ValiDotz, to prevent counterfeiting of top brands in China. The production pilot was performed together with Kecai Printing Company (a subsidiary of Brilliant Circle Holding International Limited, the industry leader in China's cigarette packaging industry), at their top-tier Shenzhen facilities, and its results were deemed as a success.